Corporate/Commercial Printing Chicago | Mass Printing | Chicago Print Group, Inc.
Chicago Print Group proudly prioritizes our relationships with the many excellent businesses based in the Chicago area. We strive to be your best option for a corporate printing partner by offering quality mass printing in a wide variety of media. We understand that businesses have enough on their plates without worrying about designing and printing their own promotional or informational materials. 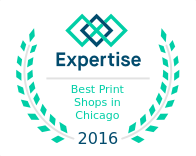 That is where print marketing companies like Chicago Print Group step in. We can provide services in every step of the marketing process from unique, creative logo design and branding, to printing of all manner of promotional materials. The increasingly competitive business climate in today’s markets require effective branding and promotional strategies to rise above the competition. Modern consumers are more discerning than ever and making a good first impression is critical. Investing in professional corporate printing will not only give you greater returns on your marketing budget, it will save you time and yield better results than trying to keep the job in house. Let us handle all of your mass printing and print marketing needs so that you can focus on your most important job – running your business. We can’t wait to show you the kind of excellent results you can expect from us! Contact us today to speak with a representative about our exciting commercial printing solutions!